Some people see mixing outboard motor oil and gasoline as a chore, but I actually prefer it. It beats having to change the oil the traditional way twice a year, in my opinion at least. Each two-stroke engine specifies a different fuel to oil ratio, so be sure to consult your owner’s manual; when I mix in my Evinrude XD100, I use a 50:1 ratio. To figure out the proper combination, you first have to convert everything to a common unit of measurement—ounces are the easiest. There are 128 ounces in a gallon. So lets say you are going to prepare 5 gallons of mixed fuel, which is equivalent to 640 ounces. Since I use a 50:1 ratio, I divide 640 by 50 to get 12.8—so I need 12.8 ounces of outboard motor oil. Is There a Difference Between Two- and Four-Stroke Oil? Two-stroke engines are more powerful and compact than the four-stroke, which is why they are found on the back of so many boats. But some boats do have four-stroke engines. When you purchase outboard motor oil, you’ll notice that there is both two- and four-stroke oil, but is there really any difference? As we all know, one of the biggest differences between the two types of motors is how you put oil in the system. 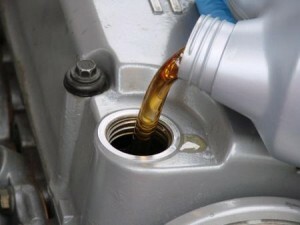 In a two-stroke motor the gas and oil are mixed, while in a four-stroke the oil is contained in a separate compartment. Two-stroke oil costs more, but is it really worth the extra money. The simple answer is yes. And the reason is that two-stroke motors are more susceptible to wear because of the immense amount of power they generate in half the movements. Two-stroke oils have higher ratings to ensure your engine gets the protection it need. Yesterday we discussed why using premium oil is so important for boaters, but what I failed to mention was that most premium bulk oil on the market today is synthetic. And while we may think that synthetics are relatively new, their origins date back many decades. During the 1930s and 1940s, Dr. Hermann Zorn began to research new engine lubricant which wouldn’t coagulate or become sticky like the oils of his day. His research led him to the conclusion that esters held the answer. 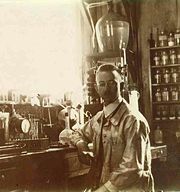 At the same time as Zorn’s research, the US was in the process of synthesizing esters for use in oils. Synthetic oils were first used in WWII by both Germany and the United States. It wasn’t until the 1960s however until Chevron released the first synthetic for commercial use. The quality of synthetics has continually improved, with new esters and methods constantly being utilized. 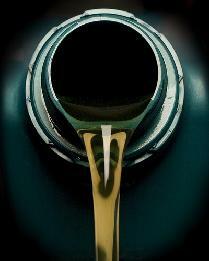 Today, synthetic oils are the gold standard of the industry. Why Use Premium Outboard Motor Oil? Needless to say, some of my boating brethren don’t take outboard motor oil as seriously as I do. And that’s okay, because most people don’t. But if you own a vessel, investing in premium outboard motor oil is important. While all oils provide lubrication and help protect the engine, a premium synthetic blend drastically improves the overall performance of your craft. 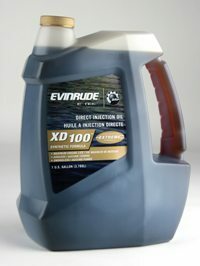 Top tier oil, like Evinrude XD 100 oil, can be used in a range of boats: outboard engines, direct injection or oil injected. Two-stroke oils have a tendency to smoke and emit odors, but premium oil reduces the emissions from your engine and prolongs the motor’s life. And when your engine runs cleaner, acceleration is smoother and overall performance is better. 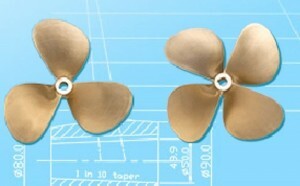 For years, three-blade propellers have been the standard issue for virtually all boat motors. 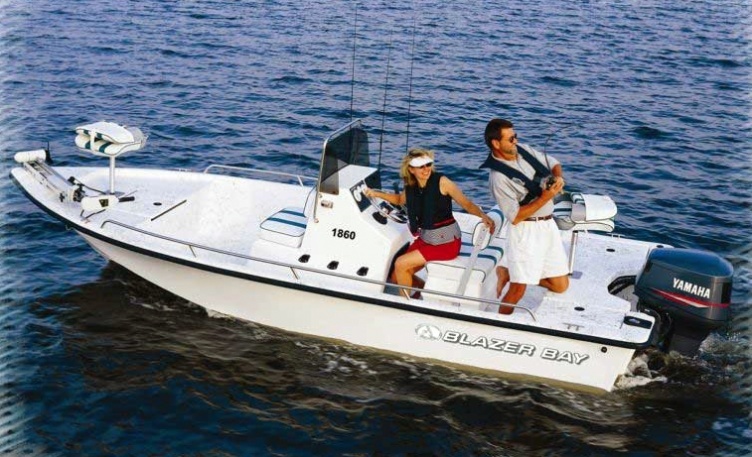 But on certain boats, particularly bigger ones, a four-blade propeller can offer some distinct advantages, so their usage is becoming more and more common. Although three-blade propellers will be faster at full throttle, most of the time four-blade propellers are more stable and efficient, meaning you spend less on gas and outboard motor oil. The overall increased surface area of the blades on a four-blade prop make planing easier, which is particularly useful when you are pulling skiers or wakeboarders. This large amount of blade area also reduces vibrations, making for a smoother ride on all levels. There is no cut-and-dry method for choosing which propeller is best for your vessel; there are simply too many variables in the equation. Always have an extra person onboard to watch the skier and raise the safety flag when they go down. Even if you have a spotter, installing a rearview mirror is never a bad idea. Last but not least, be sure you always have the proper supplies before you leave the dock: first aid equipment, tools, and extra gas and Evinrude XD100. One way or another, the skier is eventually going to go down, and the proper steps must be taken to ensure their safety. As soon as the skier lets go of the towrope, immediately grab your safety flag—which should be stowed away with your extra outboard motor oil and other supplies. The flag alerts other boaters to the person in the water. Quickly circle back around and come back to the skier. You should always pass the skier on the driver’s side of the vessel, which allows you to talk and keep them in constant eye contact. If the skier wants to go another round, bring the boat around to the right, which will draw the towrope up next to the skier. If, on the other hand, they’ve had enough, simply pull forward to give them access to the step. In our final installment tomorrow, we’ll cover some basic tips and precautions to ensure safe skiing. Once the towrope is taut, give it some gas and accelerate smoothly. A quick caveat before we continue with how to pull a skier: Be sure to adjust your ratio of gasoline to Yamalube oil carefully to ensure peak engine performance. Many people accelerate too slowly, which means the skier will be dragged under the water. 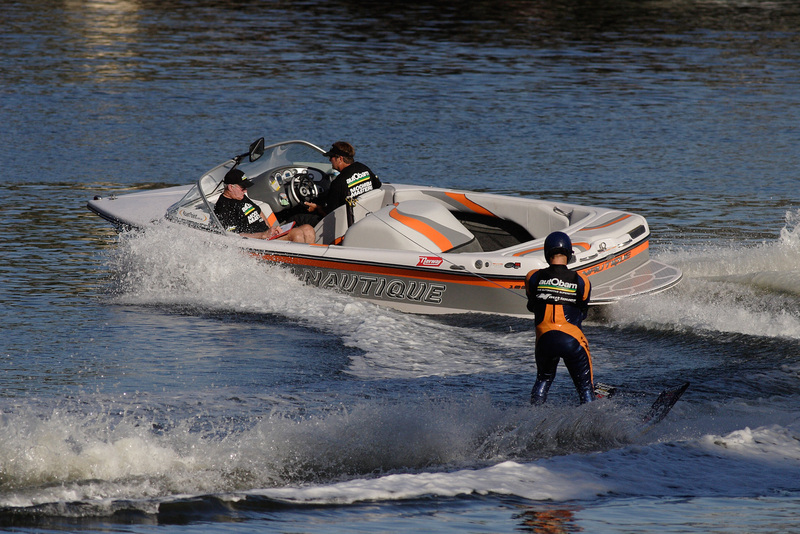 Note that if the skier is only using one ski, you will want to give the boat a little extra juice. After the skier is up, settle in at your cruising speed and head for open water. When making a turn, begin by angling the boat slightly to one side, then bringing it back around in a circle to the other side. Be sure to maintain your speed throughout the turn, as the boat will naturally slow down. Once the circle is complete, straighten your boat out so you are going the opposite direction from which you came. Tomorrow we’ll go over the protocol for when the skier goes down and cover some general safety tips. Boats are certainly fun to drive and it’s enjoyable to spend a day anchored in the middle of a serene lake, but one of the main reasons most people invest in a boat is water sports. And while towing an innertube is a cinch, getting a skier up—especially a novice—can be difficult. 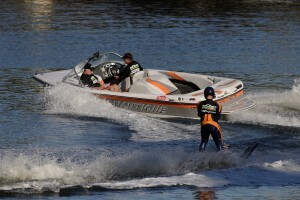 The boat driver has a crucial impact on the enjoyment and the safety of the skier, so before you put someone behind your boat, be sure you know what you’re doing. When the skier is in the water, have the engine cut and someone else on board displaying your safety flag, which should always be kept with your extra gasoline and Evinrude XD 100. 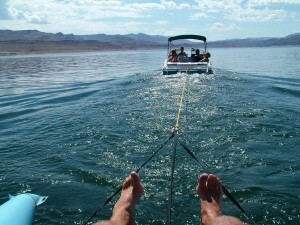 Once the skier has the handles of the towrope and is comfortable in the water, clear the rope from the propeller and start the engine. Slowly move away from the boater until all of the slack has been removed from the towrope. Tomorrow we’ll go over how to get them up. Yesterday I suggested using TC-W3 certified oil, and you may be asking yourself what sets these oils apart. 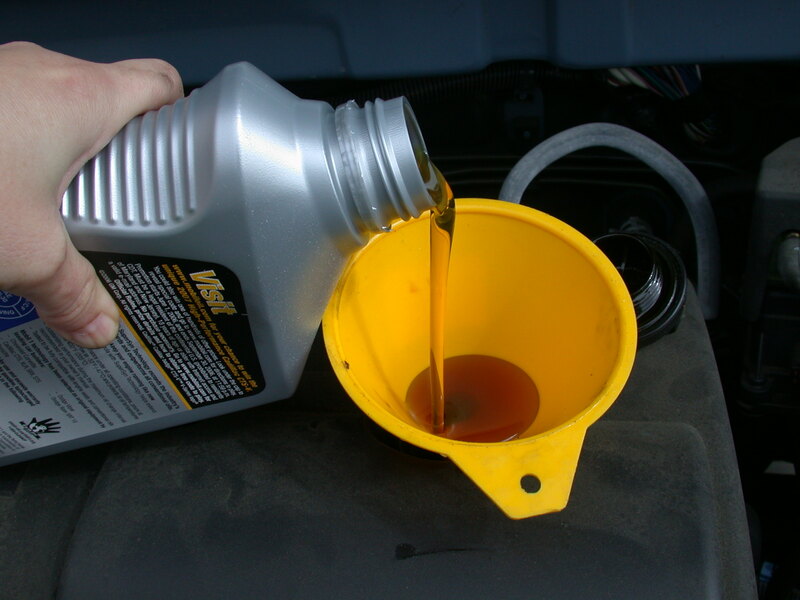 All outboard motor oils have certain specifications which you can use to gauge their effectiveness i.e. lubricity, viscosity and fluidity. And for most people, comparing the flash points of different oils isn’t too appealing, so it’s nice if you can someone else provide the comparative analysis for you. Each of the outboard motor oils inspected by the NMMA goes through independent testing to determine how it holds up in a range of conditions. After testing the oils on several engines from varying manufacturers, the NMMA takes the data and sees if the oil meets the minimum requirements for certification. As I said yesterday, TC-W3 is the gold standard in the industry; the only real difference between certified oils, such as Evinrude XD100 oil and Yamalube, is the additives the manufacturer uses. If you only take your boat out once in a blue moon, you probably don’t care too much about which types of motor oil you choose—and you probably wouldn’t have stumbled upon this blog post either. Avid boaters know the importance of choosing top tier outboard motor oil. But with literally dozens of choices on store shelves, how do you know which one is right for you? The most important thing to look for is , which ensures the oil meets a set of rigorous standards set forth by the NMAA. Most manufacturers offer at least one oil that meets TC-W3 standards; the main difference across brands is the additives. Personally, I like to follow the logic that the manufacturer knows their engine best, so they should also be able to create the best oil for it. When it boils down to it though, as long as your oil is TC-W3 certified, you’re in the clear.